“My cucurbita maxima has been purloined!” Toby Meriweather stormed into Mrs. Winkle’s fifth-grade science class, arms waving. Katy Putt’s ears pricked up. As the daughter of Freyburg’s chief of police, ten-year old Katy had helped solve her share of town mysteries – off the record of course. She just had an eye for detail, she supposed. Someone always left something behind that gave them away in the end. Now, a Halloween whodunit had just walked into her classroom. This was better than candy! Katy paid close attention. A wave of giggles rippled through the room. Toby was arguably the smartest kid in the fifth grade. It wasn’t that unusual for him to use such big words. He had won the county spelling bee every year since the first grade. No, what had set the children to giggling was the sight of Toby in his very festive Halloween sweater. The orange outerwear practically glowed in its brightness, and centered on the field of pumpkin were two triangular eyes, a nose, and a wide, toothy jack-o-lantern grin. The children laughed nervously at Dwayne’s joke. It wasn’t very nice to call Toby a giant pumpkin, but Dwayne made everyone nervous. 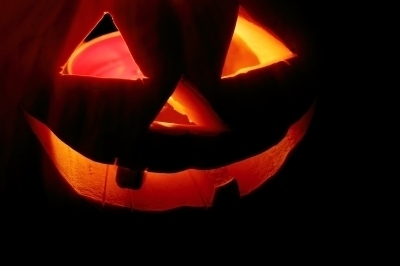 He and his group of roughnecks had been known to smash a pumpkin or two in their day. So, it was snicker or be squashed. Katy wrinkled her nose in disgust. She wished there was something she could do to put the big bully in his place. “Hush, now, class! There’s no need to be rude.” The laughter died down as Mrs. Winkle wrapped he arm around Toby’s shaking shoulders. “I’m sure everything will be all right.” Mrs. Winkle tried to reassure Toby. Freyburg Fall Festival was famous. People came from miles around to buy hand-crafted artwork made by the artists in the community, taste the delicious, homemade apple pies made with apples from the Freyburg orchards, and, of course, see the monster-sized produce that amateur gardeners had managed to cultivate in their own backyards. The prize for the biggest pumpkin was a brand-new mountain bike. Katy knew Toby lived some distance from town. His family only had one car. If he had that bike, he could use it to get to and from school. Katy looked over at Dwayne. She noticed a satisfied smile spreading across his face. He leaned back in his chair and casually picked little black hairs from his white t-shirt, flicking them into the air. A growing suspicion began to percolate in her brain. Katy raised her hand. “Yes, Miss Putt?” Mrs. Winkle asked. “We call him that because he’s all black. Like a shadow.” Suddenly, Toby let loose a powerful sneeze. “Goodness gracious!” cried Mrs. Winkle.